dobja and i continue to drift in and out of bangkok's temples. 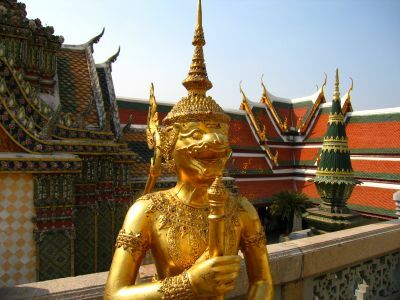 they were adorned with statues, stupas, sculpture, plants, golden-tiled walls, and ornate roofs. 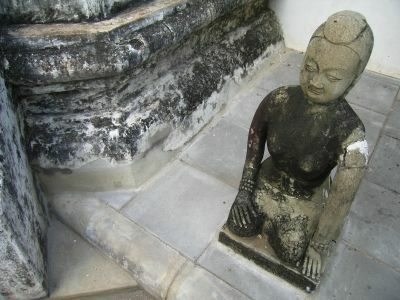 here is a cool statue of a woman kneeling next to an old temple. hi. i'm an idiot but at least i'm standing next to something cool. 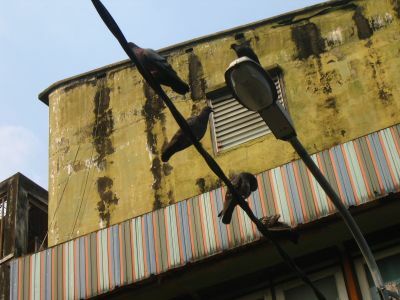 if it were actually true that all americans carried guns, i'd have shot these flying rats instead of merely taking a cool picture of them. 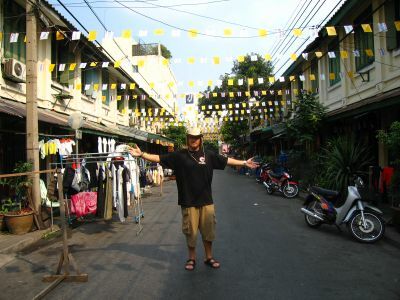 what's the average bangkok street look like? something like this - the cowboy is spreading his arms for useless emphasis. 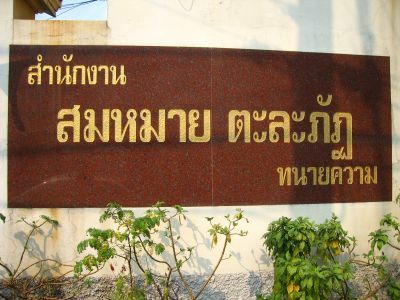 this is a sign in thai. it says "some jackass will probably take a picture of this sign because he's uncultured and stupid." dobja has a crappy camera but won't admit it. at least we got a rest everytime she stopped to fix it, and then on this special occasion i got a great photo opportunity. 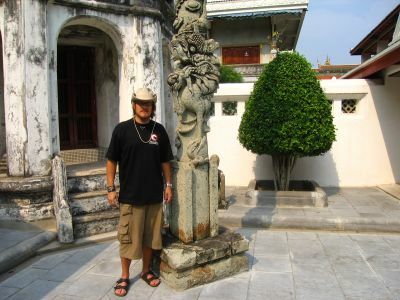 this is outside the grand palace of bangkok. 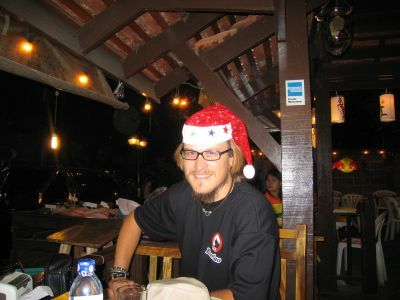 and then suddenly it was christmas, my first outside the u.s.a. there are lots of people around celebrating so although it doesn't quite feel the same as at home you can wear a santa hat and not look like a psychopath; if you argue with me i won't argue back however. dobja bought it for me so i wore it - it was 2 sizes too small like the grinch's heart. 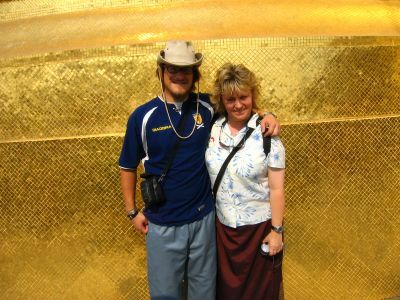 dobja and i went into the grand palace on christmas eve. here we are with a brilliant golden wall behind us. the woman who took this picture hangs pictures for a living in the louvre. here's dobja after the wall melted on her.